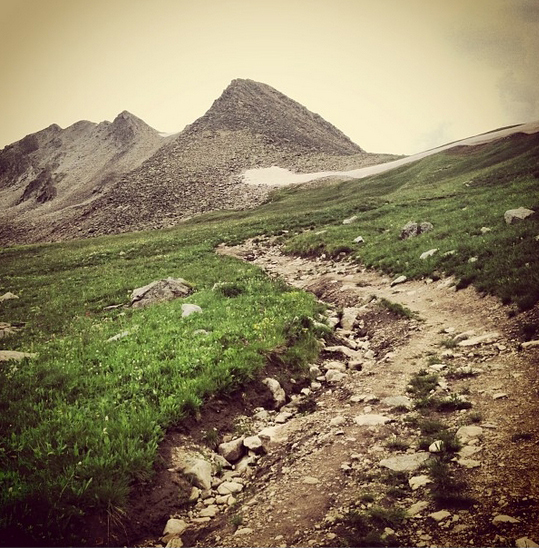 Earlier this summer we hiked along the roads that lead into the high hills of Mayflower Gulch, near Copper Mountain. We have visited this place before, and really like the feel in this wild mountain basin. You can see the cabins left behind by the miners and try to figure out which peaks are what (bring a topo map for this). If you're planning a destination wedding in or near Copper Mountain, then I'd suggest considering this special area that's definitely worth the drive and short, yet moderately steep hike. We consider the wedding not only the day of the ceremony, but now the whole experience that you create for your guests and that includes the activities in the days leading up to the big day. Adventure weddings in Colorado? Yes, we do that. Please contact us to learn more.